The painting was phenomenal! The pictures truly don't do it justice. 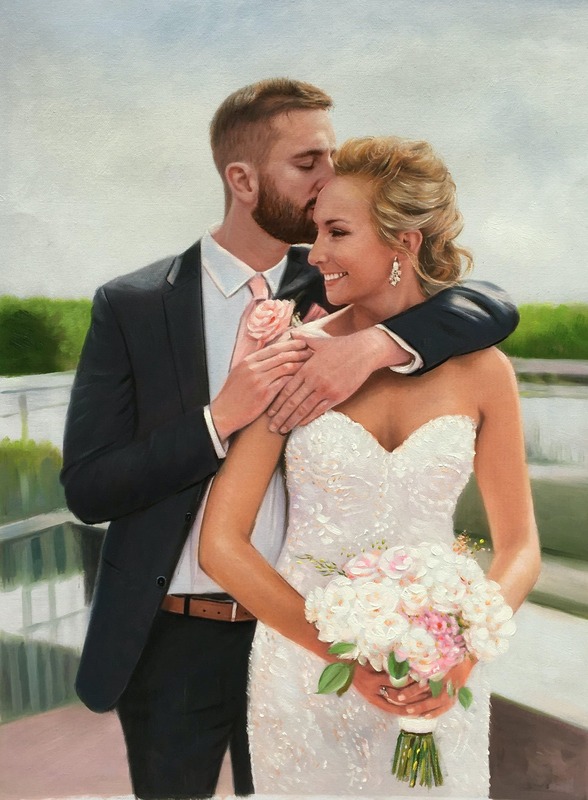 The artist did an outstanding job and the newlyweds absolutely loved it! Thank you so much!